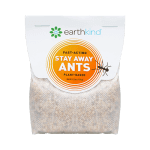 EarthKind® eco-conscious pest control manufacturer puts consumer health, safety and peace of mind first with new website and packaging for Stay Away® pest repellents. EarthKind®, manufacturer of pure plant-based, eco-friendly pest prevention products, is putting consumers first. EarthKind® is committed to commercializing innovative pest control alternatives, like high quality botanical formulations and new delivery systems. These alternatives make pest control easy and affordable for the 90% of consumers who still rely on poison sprays and toxic baits to get rid of household pests. 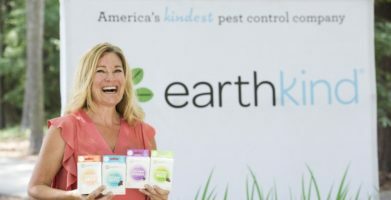 “My EarthKind® mission is to ‘Keep it Kind’ – finding natural solutions to use around your home, your children and your pets that doesn’t force people to choose between safe or effective,” said Kari Warberg Block, pest prevention expert and founder of EarthKind®. Since commercializing the first botanical repellent to earn a Federal EPA Registration controlling a public health pest in 2007, EarthKind has become the sustainable leader for change in the pest control industry. Business has a larger role to play than just delivering products or profits. 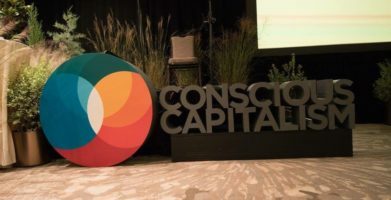 EarthKind demonstrates how companies can take the lead protecting the health of humans, animals, and the environment by creating opportunities where they don’t yet exist. Through their new website, EarthKind is breaking down barriers between corporations and consumers by educating and empowering their audience. 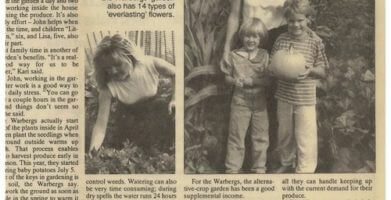 Working with other woman owned businesses is a priority for EarthKind. The new website, designed by WEC Certified agency BSTRO, offers a simplified user experience. A straight-forward layout illustrates EarthKind’s purpose and story, while streamlined purchasing creates a kinder customer experience. EarthKind is a purpose driven brand committed to innovation and product performance. They’ve partnered with fellow woman-owned business, Beardwood & Co. to unveil a new package highlighting their 100% plant-based pest control. The Stay Away® packaging features a bolder design and transparent ingredient labeling on the front of the pack, further establishing credibility and trust with consumers. EarthKind’s Stay Away ingredients are not “trade secrets,” they are made with essential oils sourced from family farms. 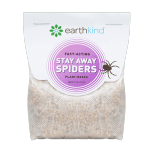 EarthKind harnesses the power of nature with plant-based scents such as peppermint, thyme and lemongrass oils to effectively deter pests, without causing them, you, or the environment any harm. Committed to green practices, EarthKind’s manufacturing footprint is USDA certified as 98% carbon-free. This lean, keen, and green approach is accomplished through packaging that minimizes waste by using reusable and recyclable shipping containers – leaving almost nothing in the landfill. EarthKind’s new packaging is biodegradable and made of 100% recycled cardboard. 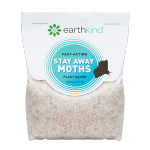 EarthKind raises the bar by bringing easy to use, effective pest control products into the DIY market, while setting a higher standard of sustainability, transparency, and kindness for the environment, home and workplace. EarthKind’s new look combines these pillars into its purpose-driven efforts – working every day to bring household consumer products back to nature, and creating a more balanced, harmonious ecosystem in our homes and the world around us. Now is the time to choose kindness – for our homes, our environment, and our planet. Keep it safe, keep it clean and keep it green – keep it kind with EarthKind. For additional information about Stay Away® products, please visit earthkind.com. Media interested in setting up an interview with Kari Warberg Block to learn more about her all-natural pest prevention techniques, please contact Sara White at sara(at)adinnyc.com or 212-693-2152. Now is the time to choose kindness – for our homes, our environment, and our planet. Keep it safe, keep it clean and keep it green - keep it kind with EarthKind. string(111) "Woman Owned Business Reveals New Look for a New Kind of Pest Control, Promoting Sustainability and Transparency"